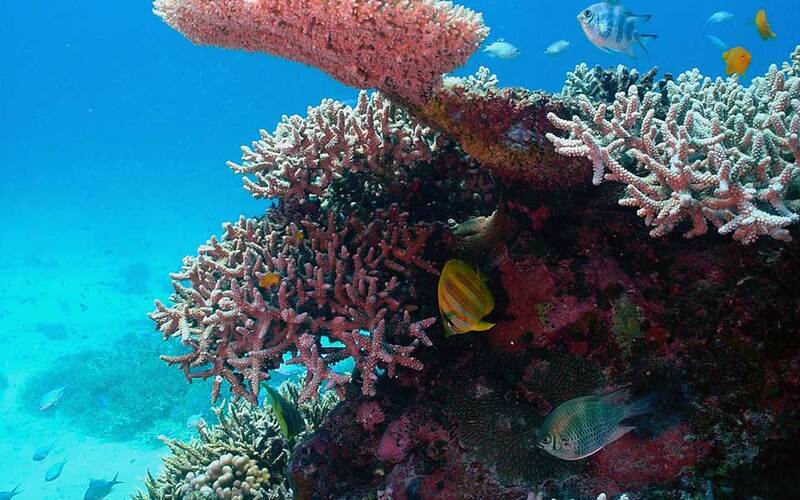 You will have an unforgettable experience snorkeling the Southern Great Barrier Reef at Lady Musgrave Island with 177 Reef, departing from the Town of 1770. We are the closest access point to Lady Musgrave Island and the outer great barrier reef. We have written this article to give you more information about what you can expect on our full day tour to the island, aboard our brand new vessel Emelie, a 68passenger catamaran. Do I have to be a good swimmer to snorkel? When coming to snorkel Lady Musgrave Island aboard 1770 Reef, you don’t need to be able to swim. We have flotation vests as well as noodles. There are also resting stations throughout the lagoons. The resting stations are floating ‘noodle like’ pipes where you can rest and relax. All equipment is supplied aboard. We have enough for all passengers. We also have equipment for children, including children sizes snorkels, flippers, vests etc. You don’t need to bring your own equipment unless you prefer to do so. How long will we be snorkeling for? The tour includes snorkeling, glass bottom boat viewing and a guided island walk. You can choose to just snorkel or skip one of the other part of the tour to spend more time in the water. If you decided to do the snorkeling, the glass bottom boat tour and the island tours you will be snorkeling for approximately 1 to 2 hours. What are we going to see when snorkeling at Lady Musgrave Island? You have the opportunity to see a variety of turtles, manta rays, a variety of reef fish and corals. The coral at Lady Musgrave Island hasn’t been affected by the coral bleaching. It has different colours in different areas. You will be able to see shades of pink, purple, beige and blue.